On a low water to flood tide Whitby Sea Anglers competed in the annual Ship Open match. 20 Whitby Sea Anglers members entered and 13 weighed in. 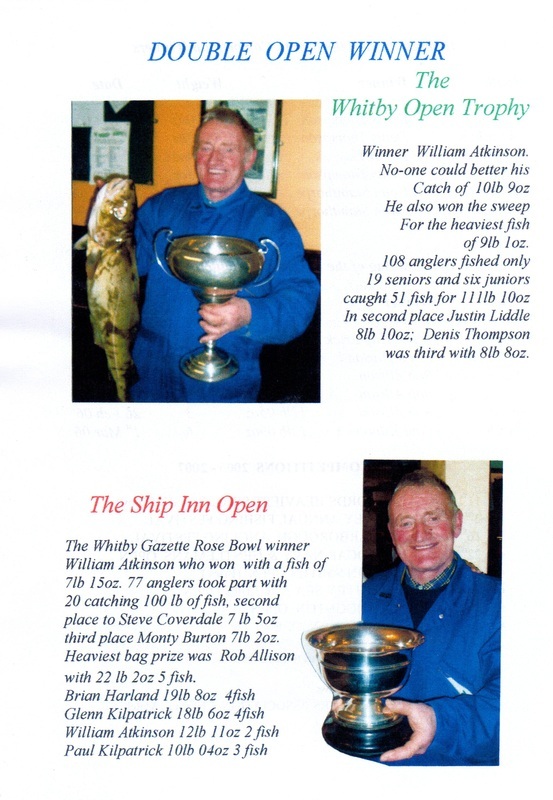 The 'Whitby Gazette Trophy (Rose Bowl) was won by William Atkinson, with the Heaviest Fish of 7 lb 15 oz. 77 anglers took part with 20 catching 100 lb of fish. 2nd - Steve Coverdale 7 lb 05 oz. 3rd - Monty Burton 7 lb 02 oz. Heaviest Bag winner was Rob Allison 22 lb 03 oz - 5 fish. Members club results, 30 fish for 114 lb 14 oz.